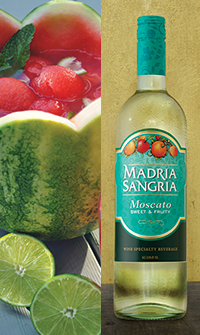 In our white sangria recipe section, you’ll find a delicious watermelon sangria recipe made with Madria Sangria Moscato. 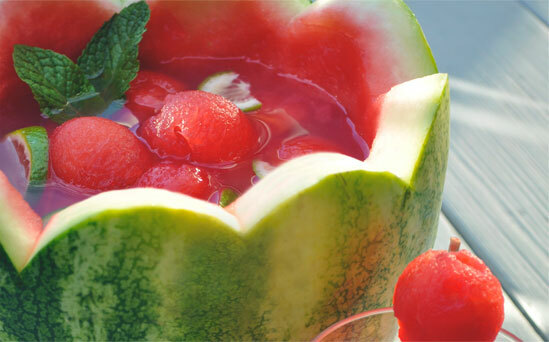 Here’s a decorative summer serving suggestion that adds even more melon to the mix. Step 1: Cut the top off the watermelon about 3 inches down. 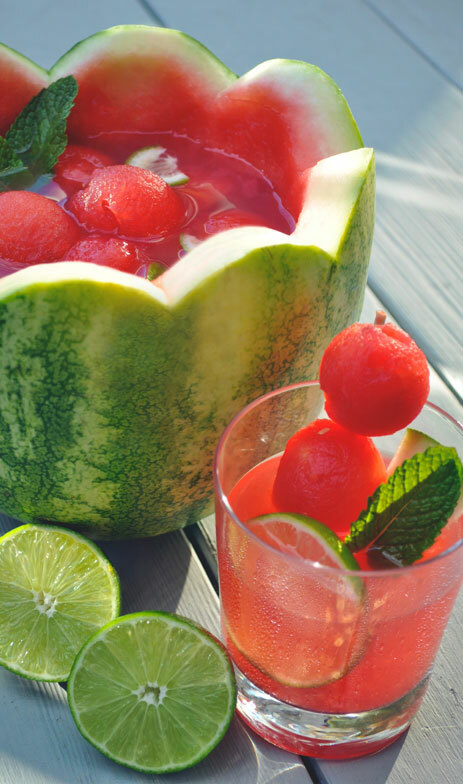 Make sure the watermelon can stand on its end; it will be holding all the sangria! Step 2: Use a melon baller, if you have one, to take the melon out. Save all the juice and fruit; it’s going back into the bowl at the end. Step 3: Scrape the inside of the melon "bowl" with a large spoon so it’s light pink and smooth. This should be a little messy. It should also be fun! Step 4: Use the recipe mentioned above, and mix your sangria right in the bowl. Add melon juice if you reserved some. Give it all a gentle stir. Step 5: Add the balled watermelon, sliced lime and ice into the sangria bowl. Step 6: Garnish with some fresh mint or lime or maybe some skewered melon balls. Or don’t! After all, haven’t you worked hard enough already?